I received a lot of feedback from one of my blogs requesting assistance in finding a mentor for newly certified coders or billers. It is great to seek a mentor for your first years as a coder or biller, and it is encouraged by AAPC and most experienced coders and billers who I know. Experienced coders and billers wish to “pay it forward” and mentor new coders and billers. How do you go about finding a mentor? Your AAPC local chapter is the FIRST place to look for your mentor. AAPC was established on the tenant of networking. Your local chapter is populated with people who have many levels of experience in coding and billing — from extensive to beginners, and over many specialties. Your local chapter provides you with a pool of people who you can reach out to and find mentor(s) to assist you as you start putting your newly earned certification(s) to use. Reach out to your chapter leadership, the president, membership development officer, or anyone in the chapter with whom you feel comfortable, and tell them that you are looking for a mentor. Explain to them that you do not wish to take too much time from your mentor’s day, but you are looking for someone that you can learn from, bounce ideas off of, and find some leadership as you grow in with your new certification. If you have a preferred specialty in which you are looking for mentorship, also let your chapter leadership specifically what you are looking for. They will assist you with finding the best mentor for you. If you find that you and your mentor do not connect, because that does happen at times, go back to the chapter leadership and ask for assistance to find a new mentor. Remember, no one knows that you need help if you do not reach out and ask for it. AAPC has an extensive program for newly certified coders to get experience via Project Xtern. AAPC has more than 200 facilities nationwide known as “Approved Official Extern Sites” (AOES). Externs are placed in an AOES for at least three months, but not longer than one year. These externships are generally not paid (depending on the facility, state, and employment laws), but the externs gain valuable experience and mentoring necessary for paid employment. 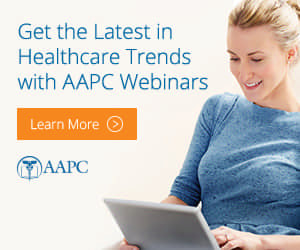 To participate in the AAPC program, the participant needs to hold a current membership and an AAPC credential (i.e., CPC-A®, COC-A™ (formerly CPC-H-A®), or CPC-P-A®.) All externs have passed the AAPC national certification exam and are designated as apprentices, meaning they simply need experience. The program provides AAPC members valuable work experience they can add to their resume and need for the removal of their “apprentice” status (Project Xtern alone will not remove the apprentice designation from your credential). At the same time, newly-certified coders give employers, who are always looking for good employees, a no-strings-attached trial period to see their externs in action, before determining whether they would be a good, full-time hire. If the internship is three months, the member’s apprentice status will not be removed, but can go toward the year of experience, leaving nine months left until they have a full year of experience. Once the member completes the Xternship, the facility will go online and complete an evaluation form and give a copy to the extern. To find an AOES Xtern site near you, go to www.aapc.com, select your state, and click on search. AAPC is always looking for additional facilities willing to serve as Project Xtern AOES. If you would like to mentor newly certified coders and billers at your organization, reach out to Project Xtern and find out what is involved in becoming an AOES for Project Xtern. If you cannot find an employer locally where you can earn experience by participating with Project Xtern, consider AAPC’s Practicode. Although you do not get a mentor, you do get an opportunity to code real world medical records from clinics, practices, and hospitals like those you would encounter on the job. Learn to code cases from multiple specialties and make yourself more marketable to the industry. The experience also gives new coders more confidence when interviewing for a position. Earn up to one year of experience toward removing your Apprentice designation. Each case either confirms your correct coding or, if the coding is incorrect, gives you the correct coding and the justification for the correct answer. Just like a mentor! Your job, when you get a chance to attend a local chapter meeting, conference, or symposium, is to meet as many people as possible and collect their business cards. Mark on each card where you met the person, what their area of expertise is and what level (if they share that information). Every person you meet at a conference is a mentor with some level of expertise in an area of coding and/or billing that you may need in the future. You are building your network with each card you collect. Enter each business card into your Outlook account, or whatever electronic contact manager you use, so that you can maintain all your contacts. Put in the notes where you met the person, such as “2019 HEALTHCON Las Vegas,” and put what you learned about the person such as: “Oncology expert in New Mexico.” You will be building a wonderful database for yourself as you go to every seminar and conference, whether local or distant. You never know, you may be meeting your next employer, or at least your next mentor to help you get the experience you need to get your next job. Remember that when you get help from a mentor, they might make a mistake and be wrong when they give you an answer. Research the answers you receive. Ask your mentor where their answer is supported “in writing,” so you have a reference in case you are questioned. I would really appreciate a mentor! I would love a mentor. I am very interested in a mentor. I would like to have a mentor . I would absolutely love to have a mentor in Risk Adjustment, my local chapter is not very active, so unlikely I could find anyone there to help me.